please refresh page if shows do not appear. The Comedy Hustle at the Funny Bone! 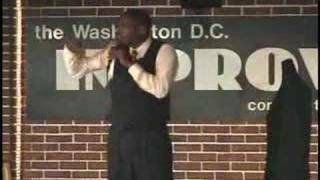 Featuring Comics from HBO's Def Comedy Jam, BET's Comic View, Comedy Central, and much more. Show begins at 10:30pm with seating at 10pm. Tickets on sale now! Purchase them online or call 757-213-5555 to make reservations! Must be 21 to enter. Visit One of Our Comedy Clubs Near You! 4. Third Party Sites: You hereby understand and agree that we have no control over third party websites and the content contained on third party websites that may be linked to on our Sites and that we cannot guarantee that the content contained in those third party sites is accurate, legal and/or inoffensive or make any other representation or warranty about the content contained on those sites. By using our Sites to link to another site, you agree and understand that you may not make any claim against us for any damages or losses whatsoever or any other claim. 9. U.S. Export Controls: The Sites and software derived from the Sites are further subject to United States export controls. No software from any of the Sites may be downloaded or otherwise exported or re-exported: (i) into (or to a national or resident of) Cuba, Iraq, Libya, North Korea, Iran, Syria, or any other Country to which the U.S. has embargoed goods; or (ii) to anyone on the U.S. Treasury Department’s list of Specially Designated Nationals or the U.S. Commerce Department’s Table of Deny Orders. By downloading or using any of the Sites or any software derived there from, you represent and warrant that you are not located in, under the control of, or a national or resident of any such country or on any such list. A GENERAL RELEASE DOES NOT EXTEND THE CLAIMS WHICH THE CREDITOR DOES NOT KNOW OR SUSPECT TO EXIST IN HIS OR HER FAVOR AT THE TIME OF EXECUTING THE RELEASE, WHICH IF KNOWN BY HIM OR HER MUST HAVE MATERIALLY AFFECTED HIS OR HER SETTLEMENT WITH THE DEBTOR. 12. Disputes: If you have a dispute regarding an event (or a ticket for an event), then the dispute will be governed by the laws of the State of California without regard to its conflict of law provisions and you hereby consent to personal jurisdiction, and agree to bring all actions, exclusively in a state or federal court located in Los Angeles County, California. If you have a dispute regarding any of the Sites but not regarding an event (and not regarding a ticket for an event), then the dispute will be governed by the laws of the State of California without regard to its conflict of law provisions and you hereby consent to personal jurisdiction, and agree to bring all actions, exclusively in a state and federal court located in Los Angeles County, California. 13. Indemnity: You agree to indemnify and hold Funny Bone and its affiliates, and each of Funny Bone’s and its affiliates’ respective officers, agents, employees, contractors and principals, harmless from any loss, liability, claim or demand, including reasonable attorneys’ fees, made by any third party due to or arising out of your use of the Sites, including also your use of the Sites to provide a link to another site or to upload content or other information to the Sites. 14. Trademarks: Improv (including, without limitation, the “Improv” logo), and all Improv designs are trademarks of Improv. All rights reserved. 15. Patents: One or more patents apply to the Sites and to the features and services accessible via the Sites, including without limitation: USA Patent __________ ; and all corresponding foreign counterparts. We deliver the most highly targeted comedy audience available. All visitors not only view comedic content online but purchase physical tickets and merchandise within the vertical. Nowhere else on the web can advertisers find a more concentrated group of comedy tastemakers. For sponsorship requests and additional pricing information, contact us. For all non-advertising related question please contact us by filling the "Contact Us" form. 1. How Information is Protected: It is extremely important to us to protect the information you provide. Your information is protected by security measures in order to ensure that your information is not accessed by or disclosed to unauthorized parties. All credit card information is encrypted when your computer sends such information. Security software as well as the use of firewalls is used to protect all information. No security system can completely protect against all possible disclosure, but we take all measures required in order to protect your information. 2. Information Collected: Visitors of this website provide non-personal information (for example, your IP address, browser type, and date and time the site is accessed) containing information about your activities on the site, and when purchasing tickets, personal information that identifies you (including your name and e-mail address. Information from your computer is also collected and stored using “cookies.” A cookie is a small file stored on your computer that is linked to information about you. For example, when you sign in to your account on this site, cookies will be used to save your email address and name. The next time you visit your account from the same computer, the site will recognize your email address and name, which in turn makes for a better experience for you on the site by providing faster service. “Web beacons” may also be used, which track your use of the website in order to provide you with a more personalized experience when you visit the website in the future. When you purchase tickets on the site, or enroll in any special programs that we may offer, financial information will be collected from you (which will include your name, billing address, credit card number and credit card expiration date). 3. How Information is Used: Information we collect may be used to: process payments for purchases; provide customer service, protect against fraud; send communications to you regarding your purchases and products and services that may be of interest to you; examine your interest in products and services; assist in the display of content tailored to your interest in certain products or services; and for any other purpose which we may describe and inform you of at the time the information is used. 4. Sharing of Information: Your personal information is not shared with any party, except as set forth in this paragraph, or unless we specifically inform you otherwise and provide you with an opportunity to opt out of our sharing of such information. We may share your personal information with: authorized service providers that are providing services on our behalf (such as credit card companies processing payments, delivery companies, customer service companies, etc. ); affiliate companies that are owned by us or directly affiliated with us; direct mail partners providing e-mail or mail regarding events, good and services that may be of interest to you (provided that you may opt out if you prefer not to receive mailings from these providers by sending an e-mail to us by filling the "Contact Us" form. ); business partners providing offers in which you choose to participate; venues and event providers of events you have purchased tickets to attend; other limited circumstances, such as compliance with a court order; the establishment of our legal rights; in connection with illegal activity; and in connection with any corporate transaction, such as a merger or sale of the company. Non-personal information of our users may be aggregated and shared with third parties for general business purposes. No personal information will be provided when this non-personal information is disclosed. 6. Choices Regarding Your Personal Information: If you have provided personal information, you may request that your personal information be removed from our database at any time by contacting us by filling the "Contact Us" form. However, we may still retain certain information associated with your account for recordkeeping integrity, as well as to prevent fraud, collect any fees owed, enforce our terms and conditions, take actions we think are necessary to protect the integrity of our website or to protect our users, or take other actions otherwise permitted by law. Please note that if we have already provided information about you to third parties (for example, if we’ve already sent your information to an event provider), or if you’ve given information to a third party (for example, by clicking on a website link taking you to a third party’s website, and you provided your contact information to that third party), retention of that information will be subject to those third parties’ policies. If you receive an unwanted email from a third party, you’ll have to opt-out from receiving further emails from that party itself. 7. Children’s Privacy: Our website is a general audience site and we do not knowingly collect personal information from children under the age of 13. 3. if the nature of the third party’s business cannot be determined from their name, examples of the products or services marketed. We may provide this information in a standard format that is not specific to you. The designated request is done by filling the "Contact Us" form.